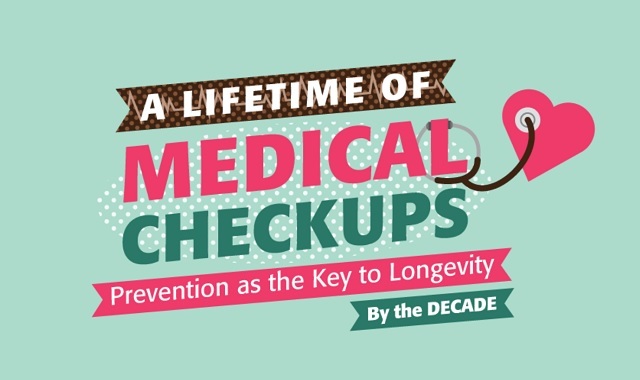 A Lifetime of Medical Checkups #infographic ~ Visualistan '+g+"
The most common fatal illnesses are cardiovascular disease and cancer. While these and other potentially deadly conditions have a variety of causes, surviving any of them depends largely on prevention and early detection. Regular medical exams and testing can save your life, whether you're 20 or 65.